Testogel Side Effects! Read Before Using This Gel! I started using Testogel last week. I train a lot and do Spinning several times a week. I'm 50 and my max heart rate has been around 180 bpm - that's really pushing it to the extreme maximum. After a few days using Testogel I went Spinning, hit 182 fairly easily doing a spurt and then got up to 199 when I really pushed myself to the max. 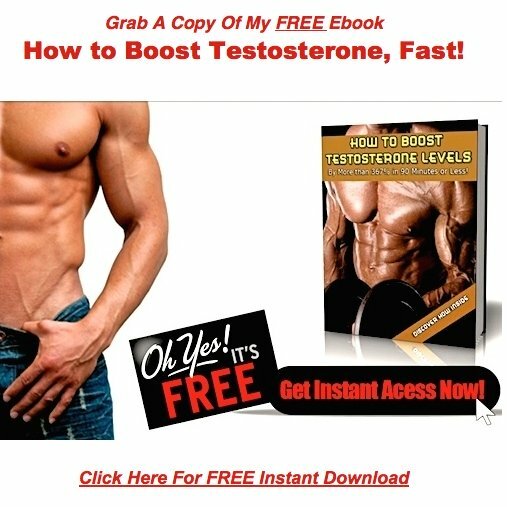 Is this normal when boosting testosterone? This is the first time I've used any hormones. I also felt like I had so much power in my leg muscles I could have ripped the Spinning bike to pieces and left it as a mangled piece of smoldering junk on the gym floor. You may feel the power now, but like a drug addict, you're going to have to continue chasing that buzz! Unfortunately, the longer you're on the juice, the more elusive the buzz becomes. You see, since you just now started using the testosterone gel, you still have some function left in your testicles, but that's not going to last. Continue on your current course, and that function will greatly diminish, as your testicles atrophy, and ultimately fade away. 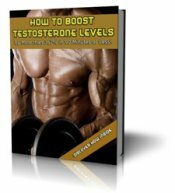 At this point, you'll be relying exclusively on the gel sitting in your medicine cabinet for your testosterone. But the gel doesn't get it done like your own testicles do. This means you have sexual highs and lows, depression, hostility, hair loss, water retention, liver problems, acne, and shrinking testicles to look forward to. And these are typically followed by drugs to counter these negative side effects...drugs that come along with a whole host of side effects of their own. I said this about 2 weeks ago in a blog post, and I'm going to say it again for your benefit. I receive somewhere around 50 emails a day from my site visitors. A very large percentage of these come from men who've gone on Testosterone Replacement, and now deeply regret that decision. Never once in the history of this site have I gotten an email from a man stating he's been on the juice long term, and everything is working out great. It's always, please help me get off this stuff, it's destroying my life. That should tell you all you need to know about this subject! You asked about your maximum heart rate. I can't say for sure, but my gut tells me you're working harder, due to the extra T running through your veins. That extra effort is pushing your heart rate into new territory. That's just an educated guess on my part though...check with your doctor to play it safe.